Welcome to the ROOM at Suter Brook village. Bright corner concrete unit with lots of windows. 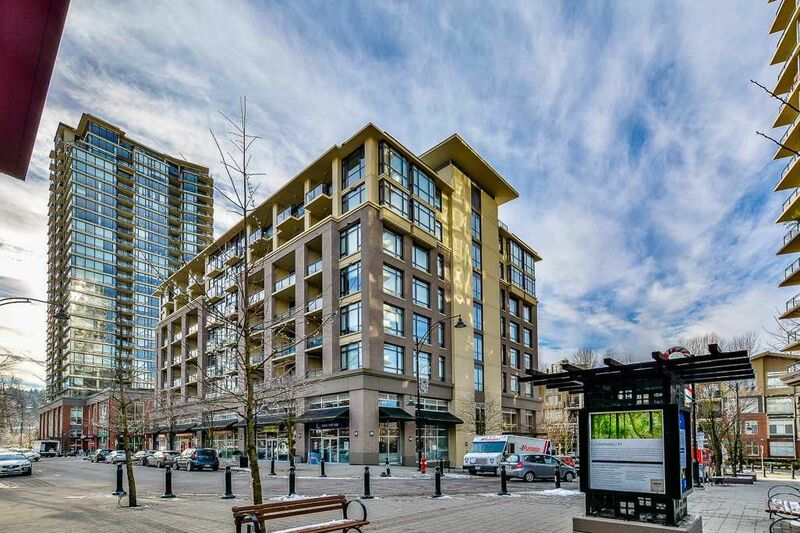 Open concept loft style large 1 bedroom condo which boasts 10 foot ceilings. High end finishings including granite counters, stainless steel appliances with a gas range, tiled back splash, butchers block movable island and wide plank laminate floors throughout. Large balcony with access from the living room and master bedroom. Amazing amenities! Indoor pool, hot tub, steam and sauna, fitness centre, squash court, media room and much more. Steps away from shops, restaurants and many other amenities Suter Brook village offers. Next to the Evergreen line station. 2 Parking spaces side-by-side next to elevator and 1 locker. Rentals and pets allowed. All measurements are approximate.